Hopefully you’ve had the chance to check out my Systems Looks on special teams and offense for the Stanley Cup Final. If not, the links are there for your viewing pleasure. This part of my exercise in looking at how each of the teams in the Stanley Cup Final operate will be focused on defense. To be honest, I could probably do ten posts on this topic because it is far more complex a topic than would fit here, but I am not sure that others are as obsessed with defensive systems as I am, so we’ll just hit some of the basics and highlights. Think of what a castle looked like in Medieval times. The castle itself held the most important things to the realm. The monarchs lived there and kept their treasure there. The castle was filled with troops to fight off attackers, but the attackers had to get through some obstacles to even get inside. Outside of the castle was usually a big wall, a moat, outposts where troops were stationed to keep attackers away from the gate and even spies and assassins. 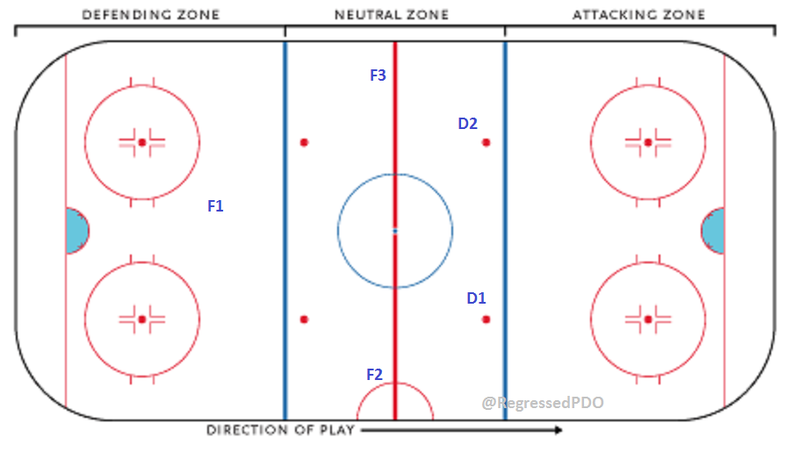 A team’s neutral zone forecheck is much the same as the outer defenses of a castle. Teams work to make it as difficult as possible to get inside the castle or, uh, the defensive zone. Once a team gets through the forecheck and into the defensive zone, the defensive system takes over to defend the castle’s treasure, the goal. 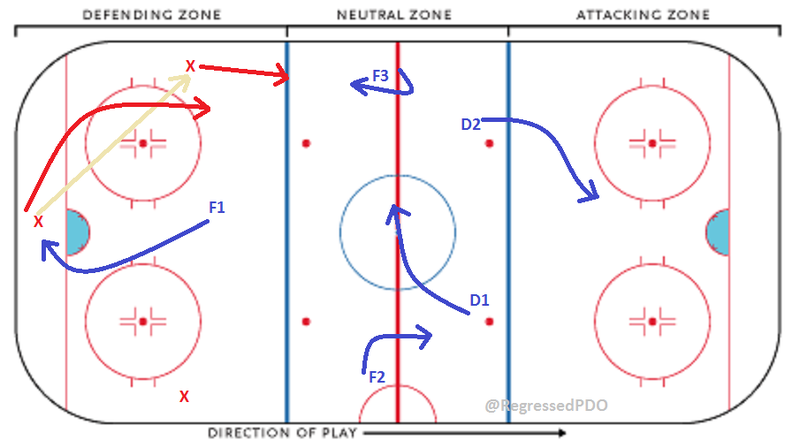 Tampa Bay and Chicago use different neutral zone forechecking formations depending upon the situation. 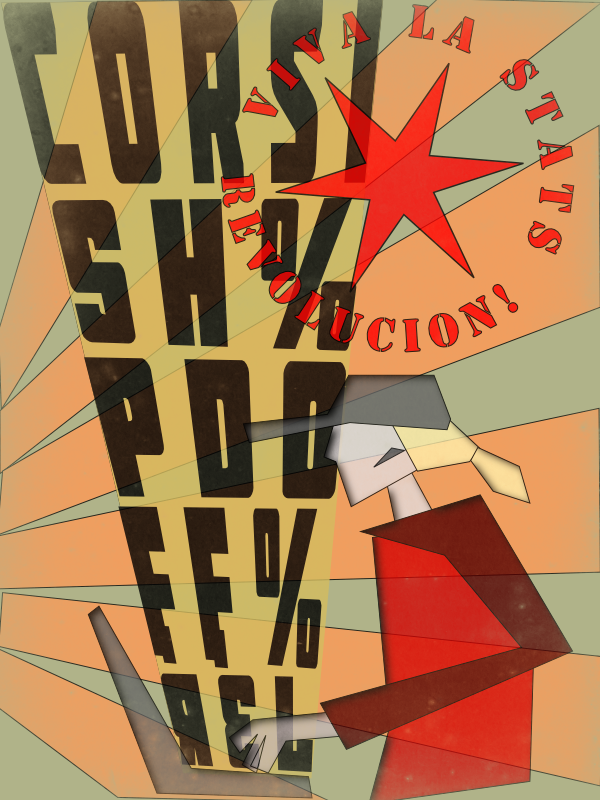 When the opponent is organizing a controlled breakout, i.e. holding the puck behind the net and getting personnel set, both teams often go to a 1-3-1 formation. Because I can kill two birds with one stone here, I have illustrated some of the breakout plays used by Tampa Bay and Chicago versus the 1-3-1 forecheck so we can see how it make look when these teams face each other. The Chicago Blackhawks and Tampa Bay Lightning are getting ready to face each other in the Stanley Cup Final. You can bet that the coaches are reviewing game film to find out what to expect from their opponent and make some adjustments to how they approach certain aspects of the game as a result. We can do something similar as we wait for the Final to start. In this first post, we’ll take a closer look at Special Teams. Many teams use a basic 4 player box as almost a home base formation during the penalty kill. 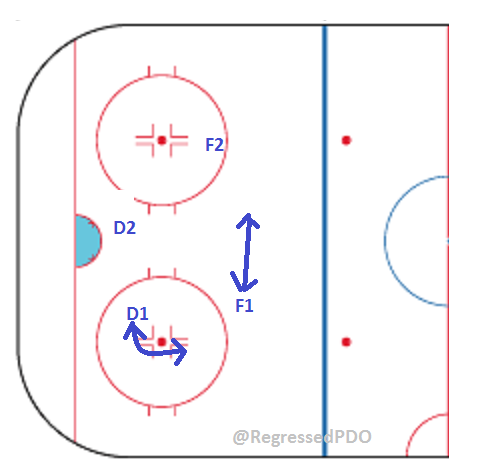 The penalty kill units then morph into more specialized formations depending upon where the puck is and the formation used by the power play they are facing. During the playoffs, Tampa Bay has used a Diamond Force formation as the go-to set up.